Get The Facts About Bed Bugs - Yes Pest Pros, Inc. Get The Facts About Bed Bugs - Yes Pest Pros, Inc. There is a lot of misinformation floating around about bed bugs. Some of it has been passed down from parent to child, and some is being circulated online. The only way you will be able to truly protect yourself from these bothersome pests is to know the truth. 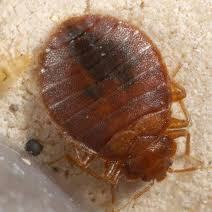 Myth 1- You can only get bed bugs if you are dirty. This is why bed bugs have the stigma that they do. People assume it was the person’s lack of cleanliness that led to the infestation. This simply isn’t true. Bed bugs have been found in both dirty and immaculately clean places alike. It doesn’t matter how clean a place is. What matters is if they have an opportunity to travel into your home (and bed). Myth 2- Washing your sheets in hot water will kill all bed bugs. If it were this easy, bed bugs wouldn’t be so hard to get rid of. Washing your sheets in hot water is recommended as part of the treatment for anyone who has bed bugs, but it isn’t the end of the bed bug treatment. Bed bugs are very resilient, and it’s not only them you want to kill. It’s their eggs, too. That is why profession treatment is needed. Myth 3- I don’t have bed bugs, because I haven’t traveled. Sure, you could get bed bugs by traveling to a foreign place, but that isn’t the only way. You could also get them by traveling to the store, to work, to the park, or anywhere else in your neighborhood. Myth 4- Harsh chemical treatments are the only option. It is the most common treatment, but it isn’t the only one. As far back as the 1930’s, professionals were using bed bug heat treatments, which involve applying focused, intense heat to the infested areas. Bed bugs and their eggs cannot survive at such high temperatures. Myth 5- You can’t get bed bugs if you have a metal bed. If bed bugs could choose a bed to infest, they definitely wouldn’t choose a metal bed. However, that doesn’t mean that they won’t infest one if they have no other choice. If they get into your home, they can infest your metal bed. Myth 6- You can only get bed bugs on your bed. The name “bed bug” does suggest this, but it isn’t true. Bed bugs can be found on clothes, furniture, shoes, rugs, and many other things. They are most commonly found on beds, but that isn’t the only place they can survive.